Add another superfood to your radar. Moringa, which sounds like a dance but isn’t, wants to boost your health with its antioxidant powers. Name: Moringa Oleifera, aka horseradish tree, ben tree and/or drumstick tree because it’s long and thin with triangular seed pods. It also goes by other local names, depending on where it’s grown. Origins: This tree is native to parts of Africa and South Asia, namely India, Pakistan and Nepal. This particular genus is native to the foothills of northwestern India and it’s cultivated throughout the tropics. Historically, it’s been used to combat malnutrition in parts of the world where it grows. Why/how did we start eating it: The tree grows rapidly and easily, and is drought-tolerant, which accounts for easy growth in hot, sandy and dry climates. However, the leaves are small—and so you need to harvest a lot of them; about seven pounds of moringa leaves will yield one pound of leaf powder. The leaves are placed away from direct sunlight to dry, after which they are crushed to create a power. Historically, the leaves, bark, flowers, fruit, seeds and root are all used to made medicine, says Tehzeeb Lalani, a nutritionist with Scale Beyond Scale, based in Mumbai, India. The story of Kuli Kuli helps exemplify the tree’s potential. While she was a volunteer in Niger for the Peace Corps, Lisa Curtis was feeling sluggish from her vegetarian diet, and so locals suggested she try moringa leaves. They offered them to her in a local snack mixed with peanuts called kuli kuli. She felt “a lot more energized. I believe I was particularly lacking in iron and protein,” she says. After Curtis returned, she and three other folks launched Kuli Kuli in 2013 and since then, the company has been sourcing moringa from small, women-led farms in Africa, the Caribbean and South America, helping these women earn a sustainable wage by selling some of the harvest to her company. Her company’s products, which consist of bars, powders, teas and green energy shots (all highly palatable, by the way), are available in 3,000 stores nationwide. 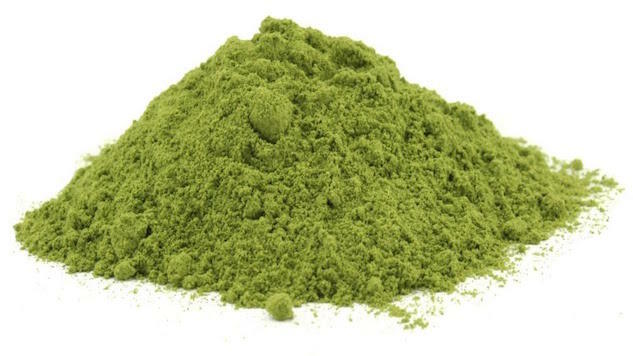 Her company advertises that one scoop of moringa powder is the nutritional equivalent of two cups of leafy greens, prompting many news outlets to claim that moringa is more nutritious than kale. Like other powders, moringa is most often used as an add-on to smoothies and shakes, but you can also add to juice, salad dressing or make a tea out of it. Start with a teaspoon. The folks at Nuts.com, which has been directly importing moringa since 2012, advise against cooking it—the heat can reduce the nutritional power. You can, however, add moringa powder to any other recipe or hot food after it’s finished cooking. Julia Gometz of Venus NY Body Shaping in New York City includes moringa in the welcome package for all new clients. “It has many benefits including hunger suppressant and anti-inflammatory,” she says. They implement moringa in a variety of ways—tea, capsule, powder, drink mixes—and keep at it until they find the right combination, she says. “We did our own research which included speaking to several weight loss centers and it was clear from experience. And now we have experienced it firsthand. It may have been one of the effects that emerged from consistent use of moringa in people who were dieting,” she says. Sensory experience: The leaf powder has been described as rich and nutty, but it smells decidedly grassy, similar to green tea, with a bit of a radish, or peppery bite—accounting for its nickname the horseradish tree. Nutrition and other benefits: Moringa is loaded with antioxidants, in particular vitamins A and C, and a wide range of B vitamins. It’s an immune system booster, an inflammation fighter, and it also possesses antibacterial and antifungal properties. It’s also considered a complete protein because it contains all nine essential amino acids. Curtis was drawn to it for all of these reasons, and because of its iron and calcium stores, too. Christopher Calapai, D.O., an osteopath based in New York who specializes in nutritional guidance and anti-aging medicine, concurs with the assertion that many of its benefits include “more energy, better sleep, improved mood, stable blood sugar and blood pressure, better digestion, pain relief due to decreased inflammation, more milk production for nursing mothers, and weight loss. However, there’s another benefit. He notes that moringa seed oil has been used for its ability to regenerate skin cells. “Many of the major skin companies now have moringa seed oil in their high-quality skin products like anti-aging cream. It is used for all types of skin issues and conditions, such as dry skin, cuts, burns, scars, wind burn, chicken pocks, shingles, psoriasis, eczema, scar tissue, diaper rash, athlete’s foot, gum disease, vaginal dryness, all kinds of rash, even to clear eyes from burning,” he says. Trivia: Curtis says that it’s not uncommon for the seed cake, the residue that’s left after the oil is extracted, can be used for water purification. She says she’d put it in her water bottle. “It doesn’t remove all the bacteria, but most of it,” she says.